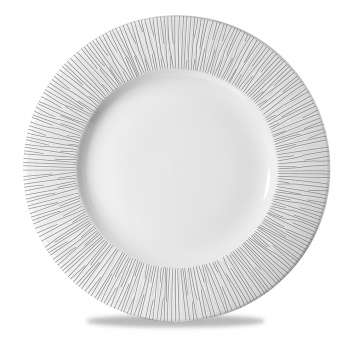 This Churchill Bamboo Wide Rim Plate White 30.5cm is inspired by the flowing, natural form of bamboo, this collection captures the beauty of pattern in the natural world. Create an elegant setting with this unique range of tableware featuring the finest of detail and the most exquisite finish. A modern and delicate embossment with long-lasting durability and strength - the true essence of natural bamboo. Perfect for both large scale banquets and restaurant dining. Organic lines and natural texture, which reflect beautifully in the light, are the highlight of this collection of Bamboo tableware. Looking to buy some Churchill Bamboo White? If you would like some advice on purchasing Churchill Bamboo White, simply contact our expert sales team, giving us either an email or phone number on which to contact you and we'll get back to you with the best advice or contact us by email: [email protected] Phone: 020 8424 8886.